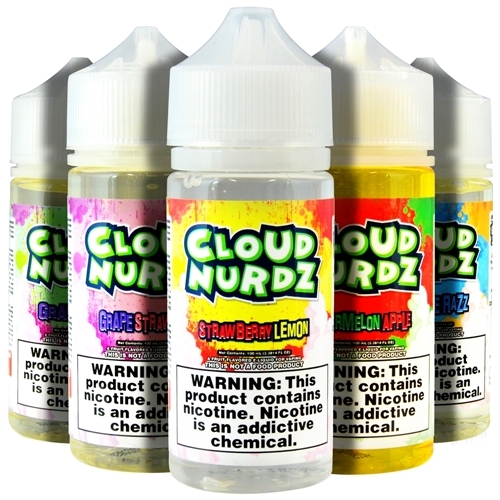 Cloud Nurdz 100ml E-Juice. 1ct. From Juicy Watermelon to Tangy Grape to Sweet Strawberry, Cloud Nurdz is the candy vape you won't be able to put down. Sweet Strawberry and Sour Lemon candy that's sure to satisfy your sweet tooth. Just like your childhood candy favorite. Sweet purple grape blended with tangy green apple. Tangy Grape and Sweet Strawberry candy goodness that you won't be able to put down.